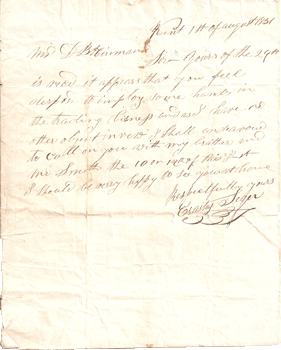 In addition to the many documents saved in the Seger family which suggest a variety of commercial and business transactions by Heman Seger in the 1830s and 1840s, his eldest son Erastus went into business for himself as a peddler at age 22. In the early 1830s most commerce was by road. Canals and navigable rivers were the only other means of bulk transportation, and the nearest canal connections were in Hartford and Kingston, NY, on the Hudson River. Railroads were only in their infancy. 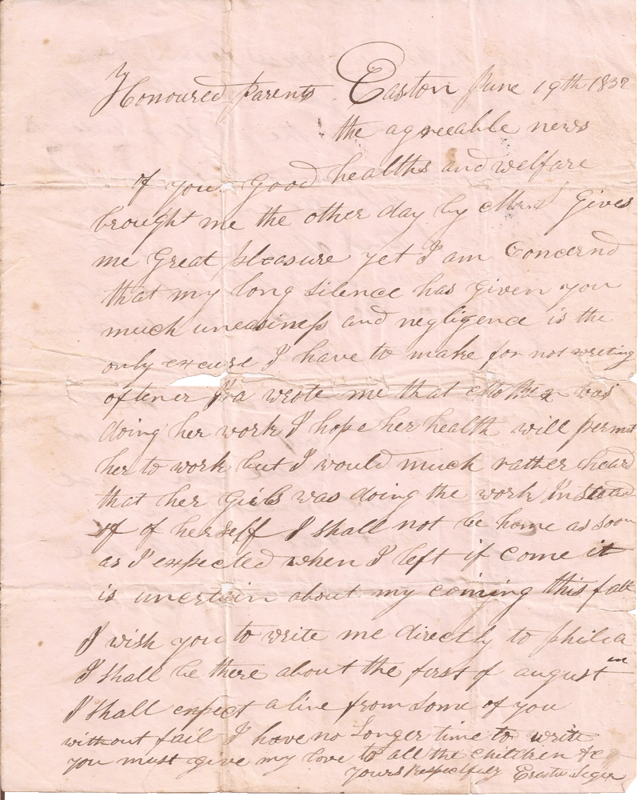 Heman Seger’s son Erastus (1808–1833) bought a peddler’s wagon from the Merritt Clark Company in Northfield, CT, and got his brother Ira to join him on the road in Pennsylvania. 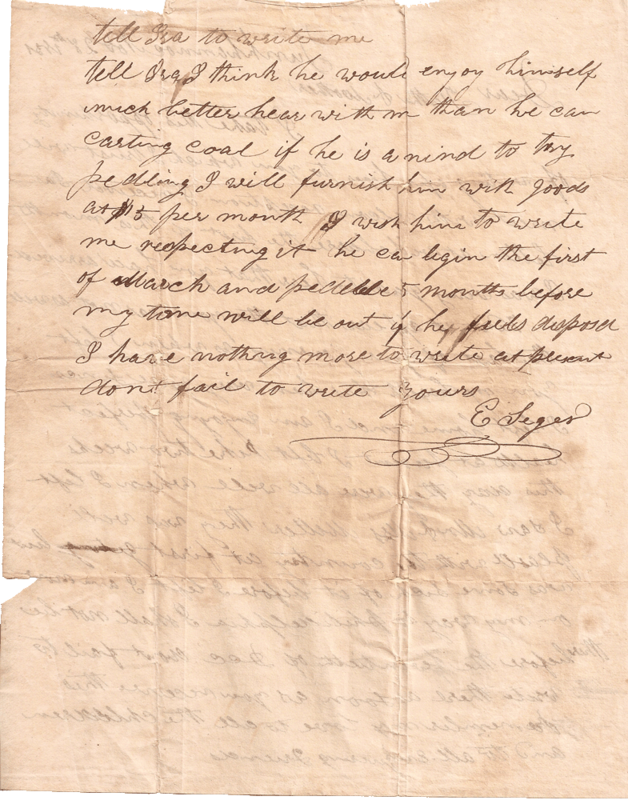 While peddling in Pennsylvania, Erastus caught a fever, was delirious for two days, and died (2/10/1833). They had been on the road barely four months. 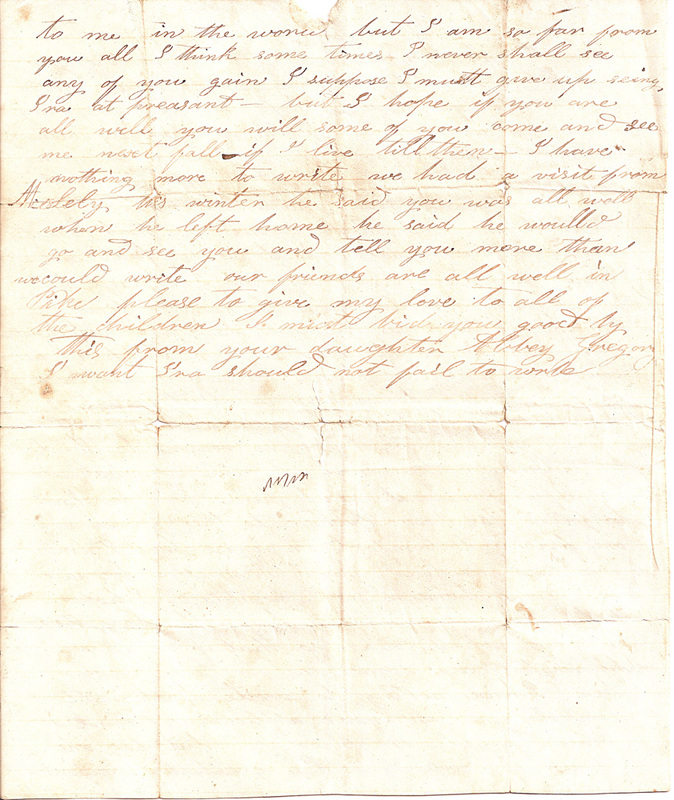 Ira buried Erastus in Palmira, PA, sold the wagon and returned home to Kent. A stone in memory of Erastus is in Good Hill Cemetery in Kent. 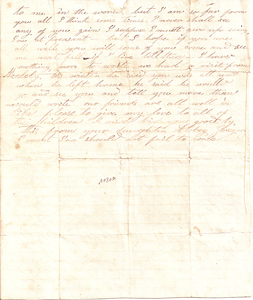 The letter about Erastus’s death was written to Heman by Erastus’s sister, Abby Seger Gregory, of Pike, Pennsylvania. 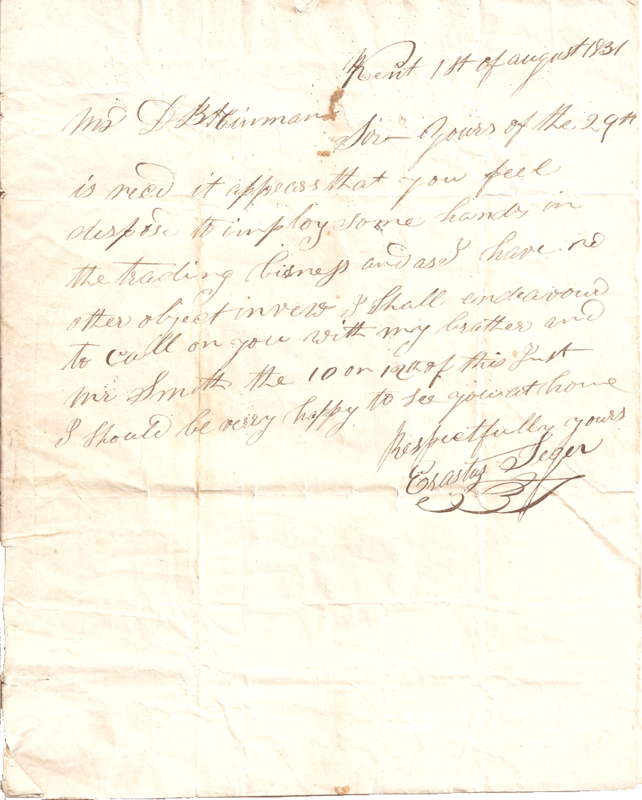 Years ago I contacted the historical society in the Palmira area to see if they knew where he was buried. They did not. Pretty terrible letter she had to write. Sonny Jennings, Frank Bloss Seger’s grandson, told me that Ira Seger bought the property that became the home farm on Seger Mountain. Seems he had no heart for further adventures. He lived the rest of his life in Kent; in the late 1850s he served as a town Selectman, and in 1879 was a representative from Kent to the Connecticut General Assembly. 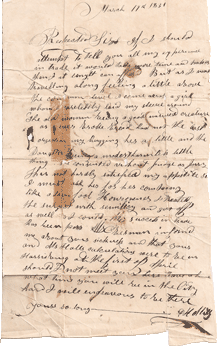 The following genealogical information gleaned from the research of Francelia C. Johnson of the Kent Historical Society, who references a Seger family Bible as well as cemetery records, and the research of Ellen Ravens-Seger, great-great-great-great granddaughter of Ira Seger. 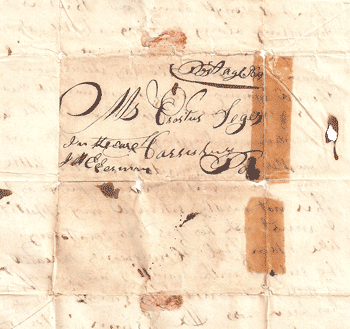 Married 10 January 1803 Lovisa (Lovicy) Root (27 Dec 1784–6 February 1864), daughter of Daniel Root and Lucy Hall. Caroline, b. 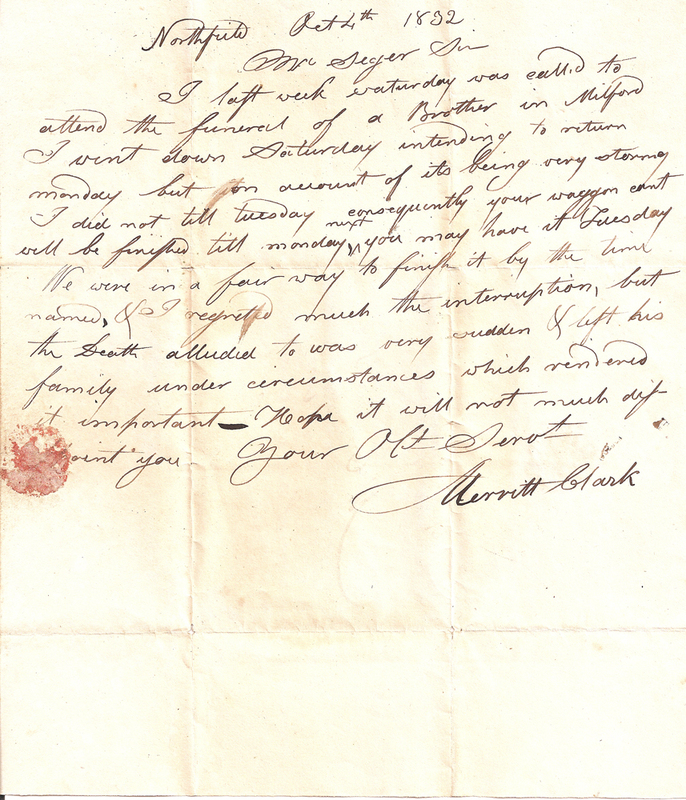 26 Feb 1807; m. 1837 Frederick Blakeslee of Granby, Ct; moved to Littleton, WI in 1857. Ira, b. 7 Aug 1810; m. Jnet Root of Kent, who was born in 1813 and died 27 March 1887; d. 6 February 1898; both buried in St. Andrew’s Cemetery. Harriet b. 16 December 1819; m. Kent 25 February 1845 Sherman Shove, who died 31 July 1885; d. 15 February 1865, buried in Kent Hollow Cemetery. 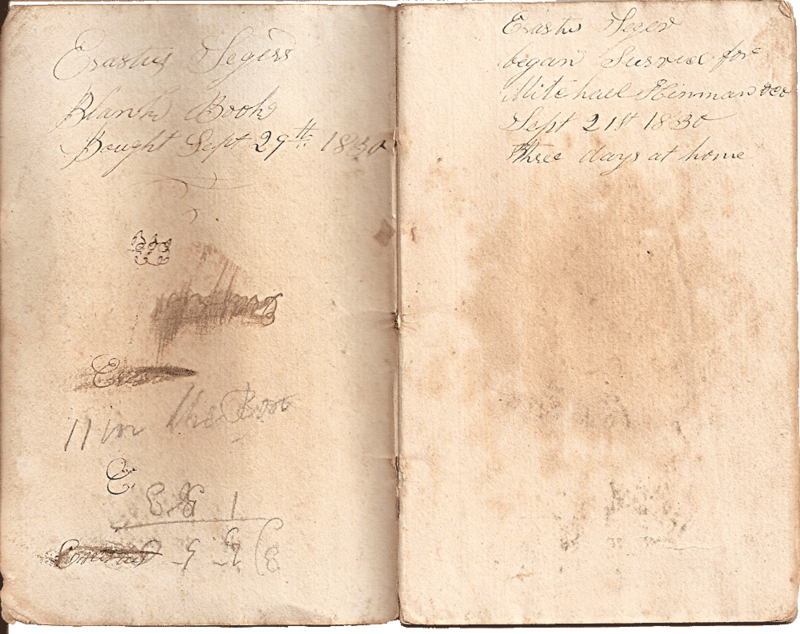 At right is a page from the record book Erastus Seger started in the fall of 1830. It appears to be a list of styles of glassware. Uncertain of the decimals. The first itemized Hinman lot totals to $5.74 with the half-cents dropped. 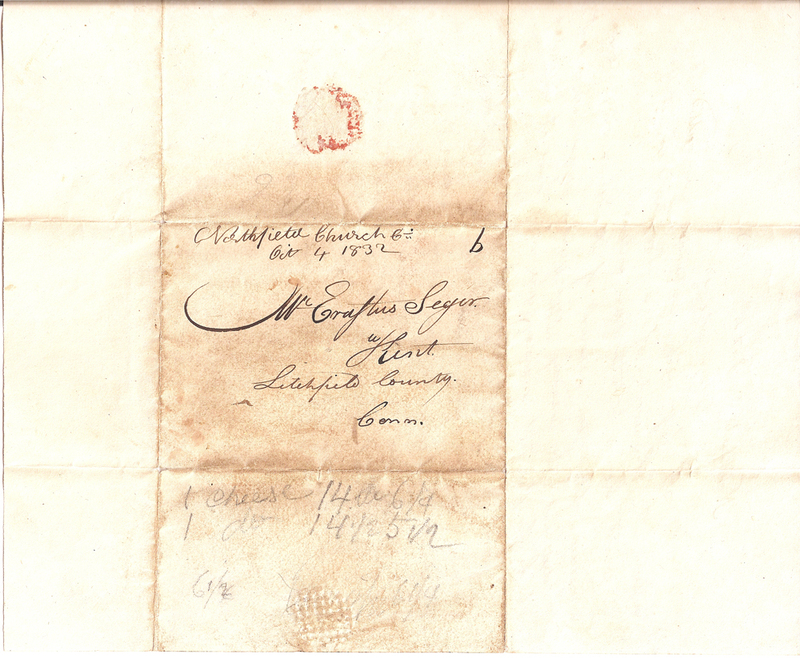 I have made a guess at the handwriting of the place name. 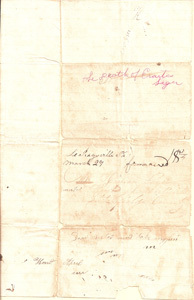 Pottsville, Pennyslvania is about 200 miles from Kent, Connecticut; this entry is dated six weeks after he made the first note. The American advertising directory for manufacturers and dealers in American goods: for the year 1831 lists Mitchell, Hinman & Co. of Bristol, Hartford County, CT, as manufacturer of clocks and dealers in buttons, combs, cotton thread. 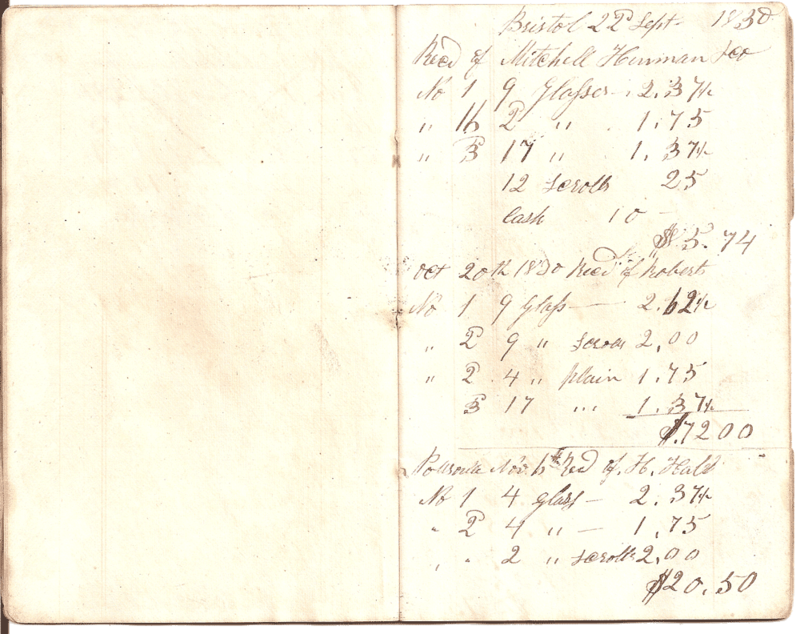 Other entries in the front of the book are similar, and in addition to Pottsville (Schuylkill County) Erastus’s route included Sunbury (Northumberland County), Philadelphia and Harrisburg, and goods sold include timepieces/clocks. According to Alan Eliasen’s historical currency converter, $170 would have a value of $4,260 in 2014 dollars. MeasuringWorth.com offers an equivalency of $4,370 in purchasing power. If this deposit represents his profit after paying off his suppliers, it was a substantial one. 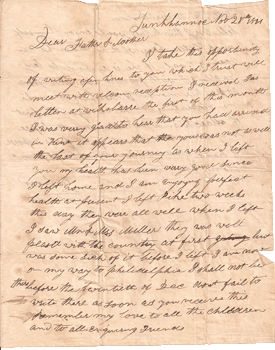 Perhaps because he was away and had occasion to correspond by letter, perhaps because of his early death, letters from and to Erastus were preserved through the generations. From the punctuation in all these letters one would think there was a surcharge for periods and commas. There was perhaps a need to put as much on a sheet of paper as one could, which would explain the lack of paragraph breaks. For ease of comprehension we have broken some of the text into paragraphs. 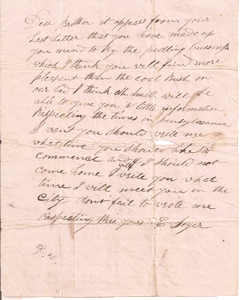 On August 1, 1831 [presumably a copy of a letter sent (or returned to him at the conclusion of the appointment? 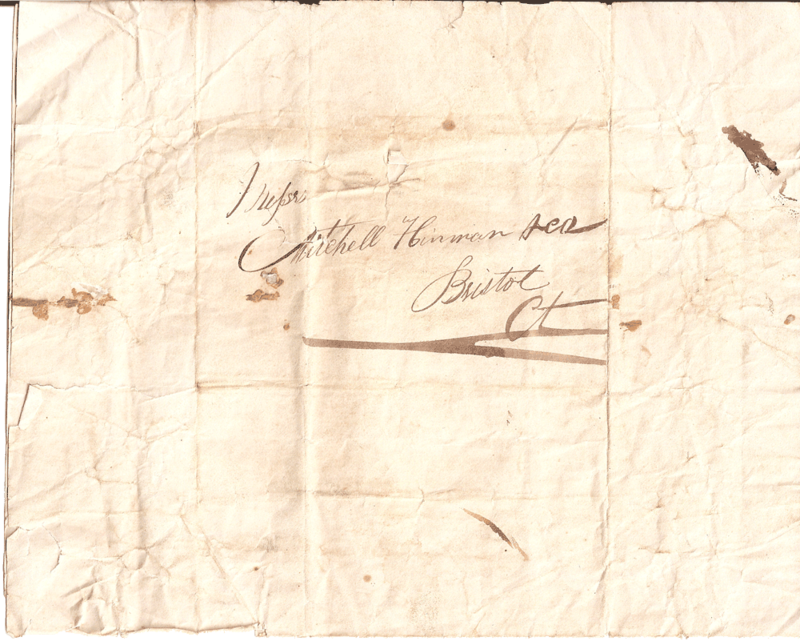 )], Erastus sent a letter from Kent to Mr. D. B. Hinman of Mitchell Hinman & Co of Bristol, CT, looking for employment. This seem incongruous with Erastus’ notebook from 11 months earlier. Perhaps he was working as more of an independent contractor the previous year? 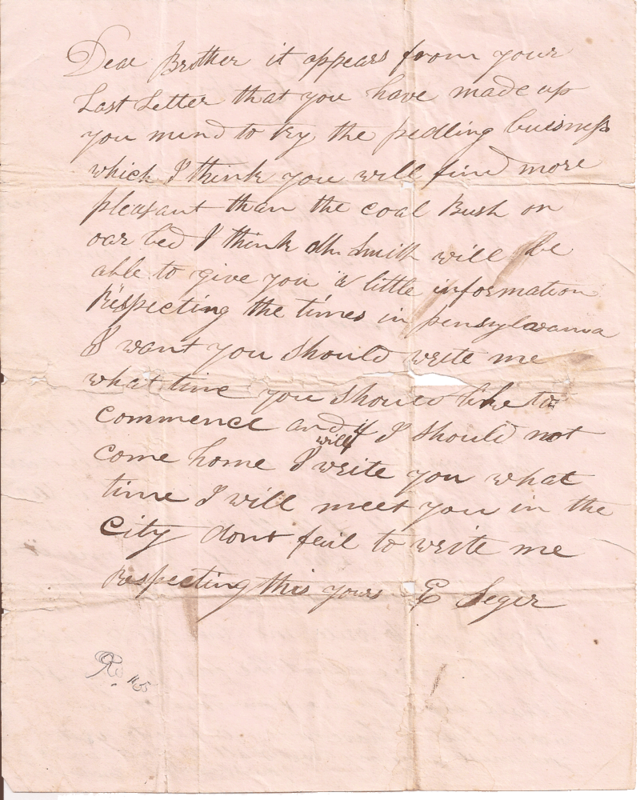 On March 19, 1831, a “Holly,” (undecipherable, but apparently someone with experience as a peddler) wrote to Erastus, in care of another party in Harrisburg, PA, seemingly wanting to discuss his business experience, but mostly recounting an odd anecdote. If I should attempt to tell you all my experience in trade it would take more time and paper than I at [length?] can afford But as I was travelling along feeling a little above the common level I came across a girl whom I carelessly laid my sleeve around. The old woman being a good natured creature as ever broke bread had not the least objection my hugging her a little and the Daughter being a modest harmless little thing, she consented without Judge as Jury This not hardly satisfied my appetite so I must ask her for her company like a dam fool. [Howsoever?] I treated the subject with [senilicy] and got off as well as I could. My success in trade has been [poor?]. Mr. Sherman [?] informed me about your sickness and that you and Mr. Halls calculations were to be in Harrisburg at the first of April Should I not meet you here leave a line what time you will be in the City and I will endeavour to be there. What an odd letter. Distasteful, to my modern sensibilities, and a little seedy. 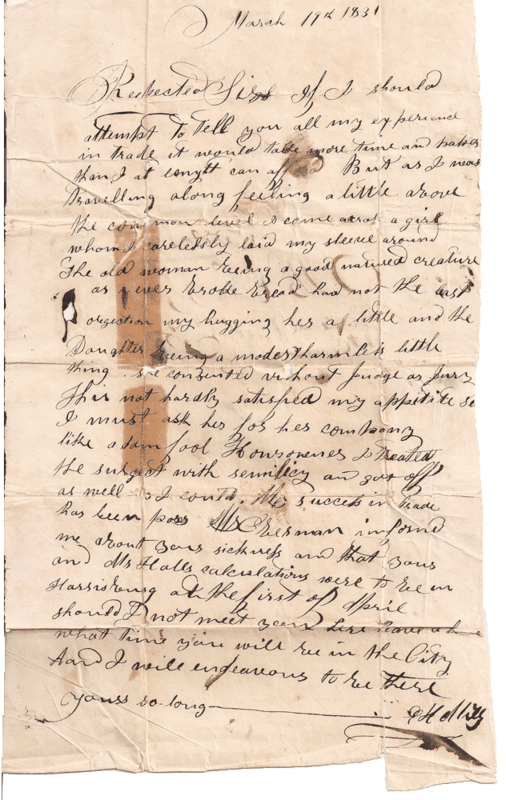 Wonder whether he wrote it shortly after his encounter when puffed up with his little conquest, or later, to hint to Erastus about the pleasures available on the road. 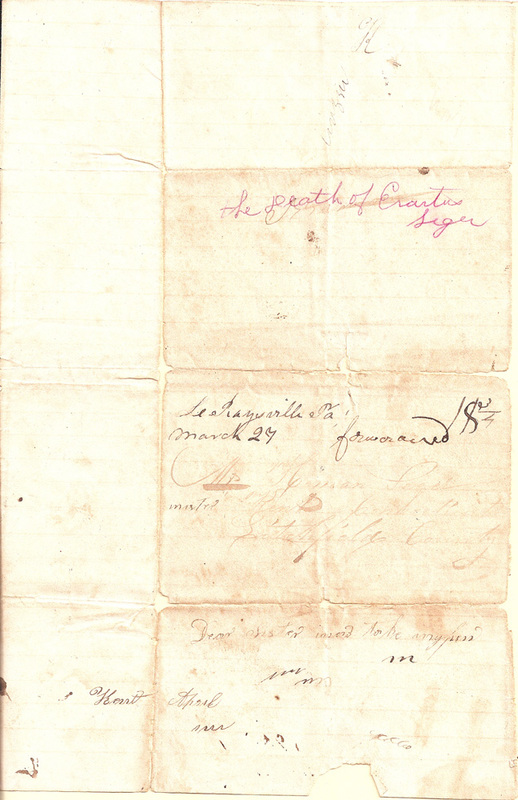 In 1832 Erastus bought a peddler’s wagon from the Merritt Clark Company in Northfield (New Milford), Connecticut. 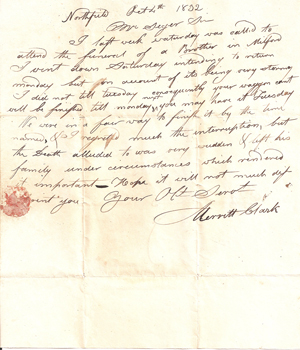 The following letter from Mr. Clark survived. On the address side are some pencilled notes that are legible in the enlargement. Easton, PA, is 55 miles to the north of Philadelphia and about 70 miles to the west of New York City. 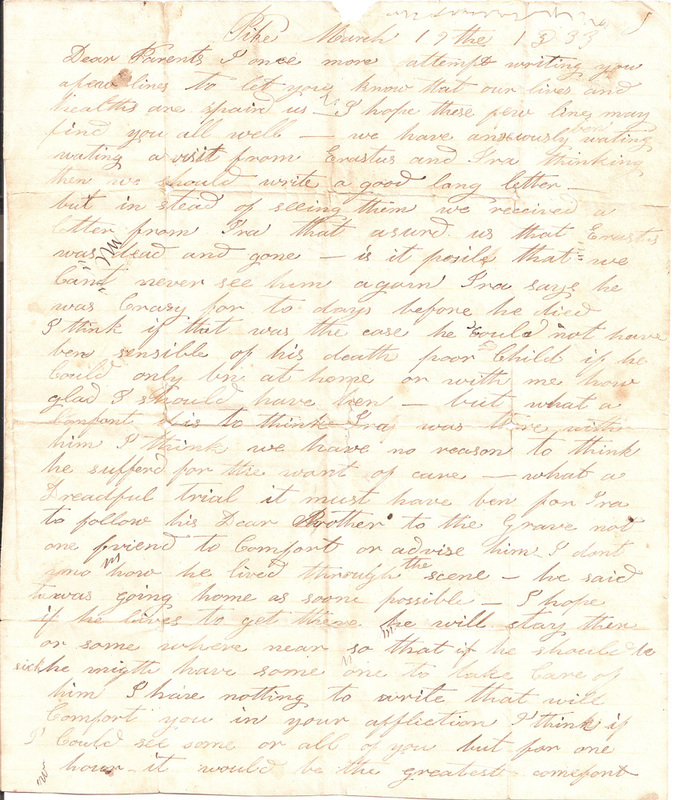 Another letter survives from Erastus from the summer of 1832. 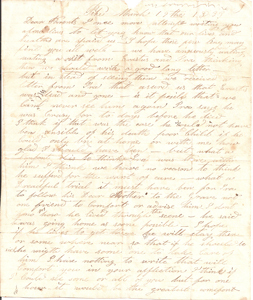 The back of the letter to his parents is a separate message to his younger brother Ira. I have altered the punctuation for the sake of legibility. Abby was the oldest of Heman and Lovisa’s eleven children. At the time she wrote to her parents about the death of her brother in Pennsylvania she was a few days shy of her 30th birthday and had been married for four years. Her sentiments regarding death — her brother’s, her own or those of other loved ones — seem appropriate in that era when life was more fragile. Ironically, most of the family at this time lived well into their 60s and 70s. Even her mother Lovisa, who survived the perils of childbirth nearly every two years for two decades, lived to be 80.